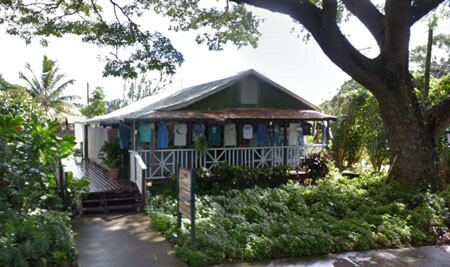 Usa Store was originally a plantation house built in about 1920 by Kōloa Plantation. Later in that decade, Dr. Waterhouse purchased the property and leased it to Toko Usa, a Japanese immigrant, who lived in it with his picture bride from Japan. Toko had worked in the fields for many years past his contract until he had saved enough to lease the house and open a store in the front part of it. Usa Store carried groceries and assorted household items: a sign in the window advertised “Bicycles and Diamond Rings.” At the start of World War II, a friend suggested the Usas capitalize the name, USA, to give the store a patriotic connotation.